Recent Advances in Non-viral Gene Delivery; Barriers to gene delivery using synthetic vectors; Pharmacokinetics of Plasmid DNA-Based Nonviral Gene Medicine; What Role can chemistry play in cationic liposome-based gene therapy research today? 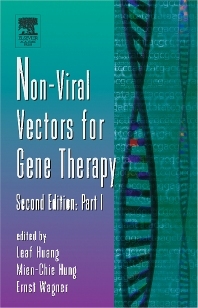 ; Lipoplex structures and their distinct cellular pathways; Toxicity of Catonic lipid-DNA complexes; Polyethylenimine (PEI); Pluronic Block Copolymers for gene delivery; Terplex gene delivery system; Design of polyphosphoester-DNA nanoparticles for nonviral gene delivery; Development of HVJ envelope vector and its application to gene therapy; Targeting of polyplexes: towards synthetic virus vector systems. Graduate students, scientists, and clinicians interested in molecular and cell biology interested in gene therapy.